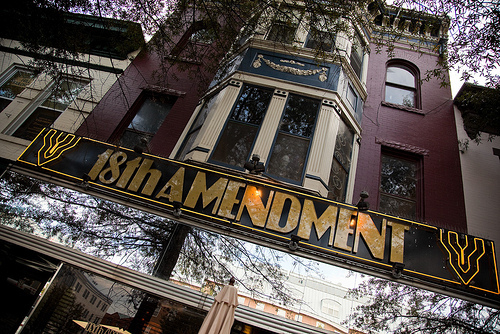 After 7+ rewarding years and a lot of reflection we have decided the 18th Amendment’s last night will be Saturday, July 27th. As we move on to pursue other exciting opportunities please accept our deepest gratitude for all of your support and loyalty over the years. We hope that you can swing by over the next 10 days to help us create a few more memories and toast the good times to come! After a bit of a summer break we’ll be in touch with future plans. Hope to see you soon! -Vicky — at 18th Amendment LLC.